How can interactive digital signage enhance your business? Reviewing the existing processes and flow of information both vertically and horizontally, and integrating new channels such as digital signage is an important step in boosting employee engagement and productivity. Corporate buildings often house a number of offices and serve as gathering spaces for highly educated people from different businesses and backgrounds. Therefore, turning space into a place that engages and inspires people is important. Different groups of people will be interested in different information. Digital signage allows users to disseminate the right information to the right department and update it at any time. You can communicate messages through a network of any size using digital signage. From job vacancies to meetings, weather or fire information, it can all be loaded onto the screens at once. Studies show that e-mail interruptions at work prevent staff from reaching their full potential. Employees need to be informed, and digital signage means they can digest important information at their own pace and in their own time rather than being disrupted when working. Not only will digital displays be beneficial for you and your employees, but it will also benefit your visitors. Eye catching displays and widgets will engage a visitor and create a positive attitude towards your brand, alongside informing them of your products. After all, the customer always comes first. A digital signage solution for your business means that you can deliver the right information, at the right time, to the right audience. An added bonus is that delivering information in this way is not disruptive nor affecting your employees job duties. Here at Dynamax, we are able to provide a solution that is tailored to your needs – digitalsignage.NET. 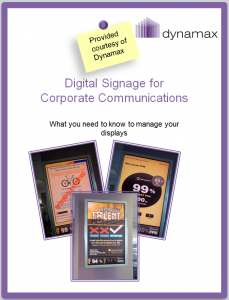 Dynamax are one of the longest standing digital signage companies worldwide. We provide enterprise and entry-level digital signage software solutions to organisations small and large, from large media owners to colleges and charities. 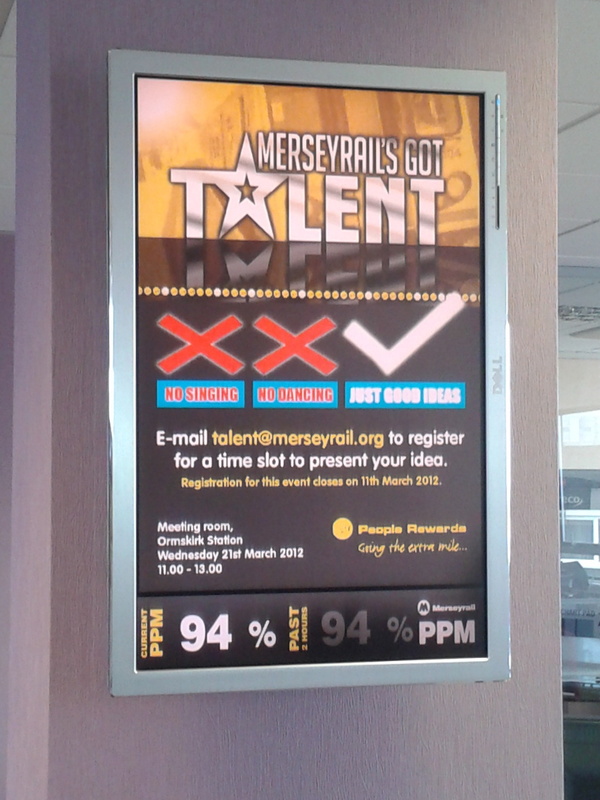 This entry was posted in Digital Signage, Tips and advice by Dynamax. Bookmark the permalink.